Our good friends over at DJ Tech sent us a brand new DJM-303 two-channel/two-USB DJ Mixer for a full video review. This is the first DJ Tech product that I have reviewed and I must say that I am impressed! 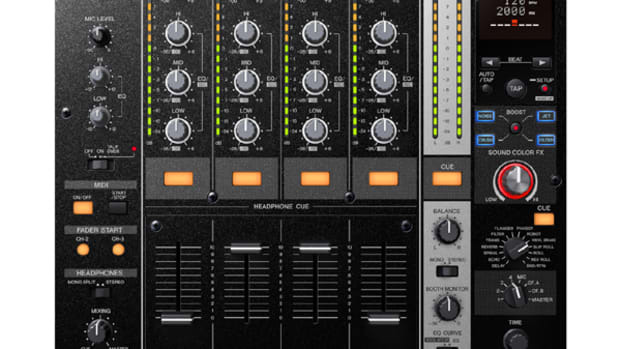 The DJM-303 is a true professional grade mixer with professional grade components and features. There is literally something here for everyone. The DJ Tech DJM-303 mixer&apos;s are going for $500 at retail and I will be the first to tell you that they are worth every penny. See if you agree with me in my full video review inside. The DJ Tech DJM-303 two-channel/two-USB professional DJ Mixer was a very welcoming surprise to me. It really does feel like a professional quality mixer and there are lots of features that I had a blast with. First of all, the DJM-303 is built like a tank with a completely solid metal construction. 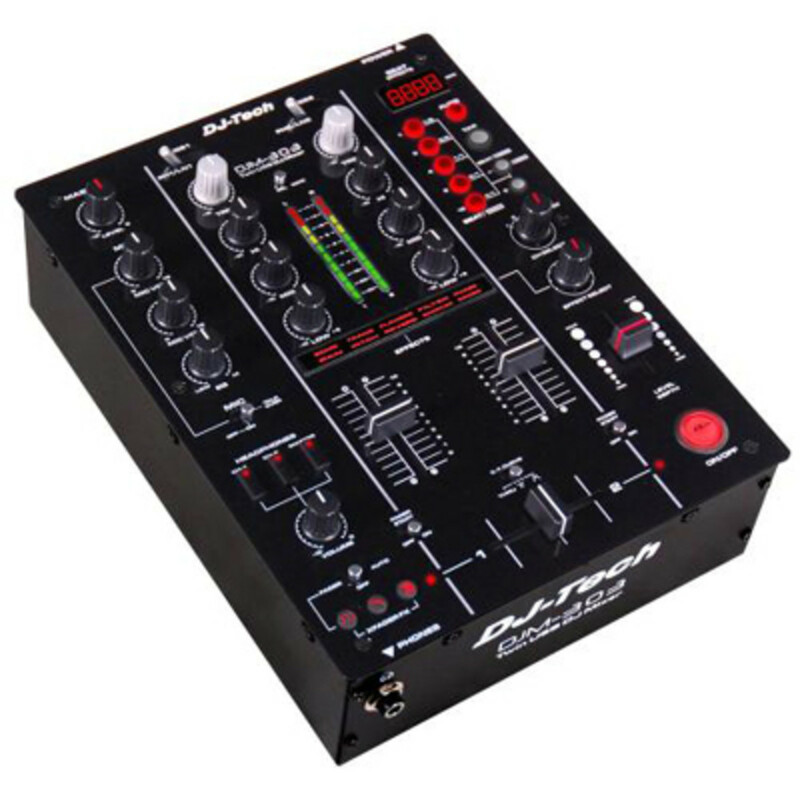 The DJM-303 can work as a standalone mixer, a USB soundcard, or with a combination of both with the switch of a button. The crossfader is very smooth and sturdy and also has a very low cut-in time of about 1mm making it easy to do your cuts right out of the box. 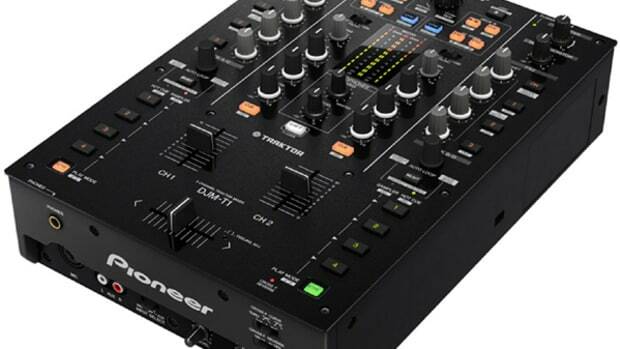 The DJ Tech DJM-303 mixer comes bundled with Traktor 3 LE and Decadance so a DJ can use the USB ports to playback music to each of the two channels in external mixer mode. The sound on the DJM-303 was also excellent with a 3-band-full-kill EQ for each channel. On top of all that mixing goodness lies a very good effects section with lots of options to add depth to your mixing and scratching style. 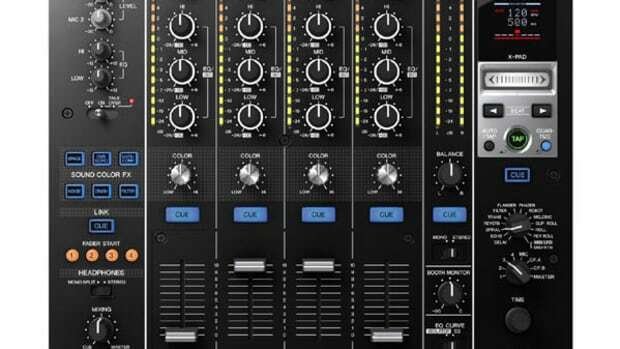 It was very hard for me to find any faults with the DJM-303 mixer. There were only two minor gripes that I could identify after days of use. The first one is that the linefaders do not have any adjustments whatsoever, so they are meant more for mixing than scratching. 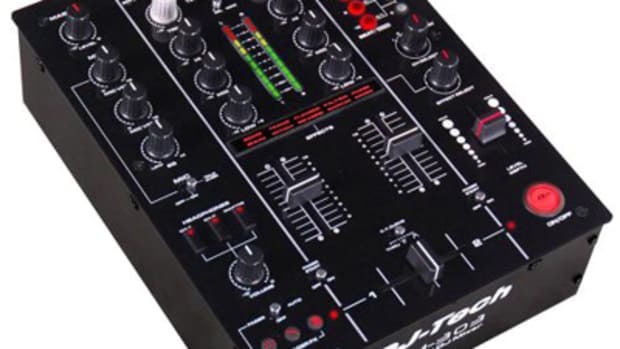 The second was that even though there is an internal soundcard on the DJM-303, you will still need to purchase an additional (external) soundcard in order to use a Digital Vinyl Timecode system to DJ with a computer and analog/CD decks. 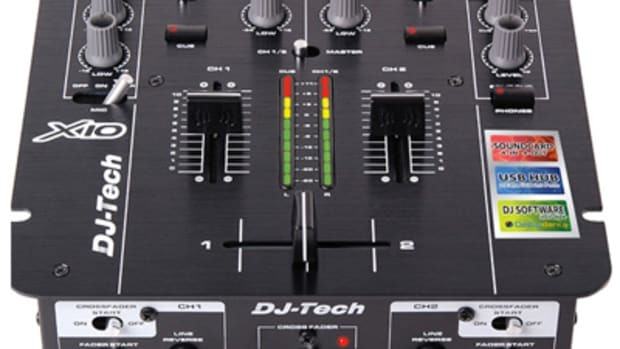 The DJ Tech DJM-303 USB DJ mixer is a lot of fun to use and is full of features not found on other two-channel mixers on the market. 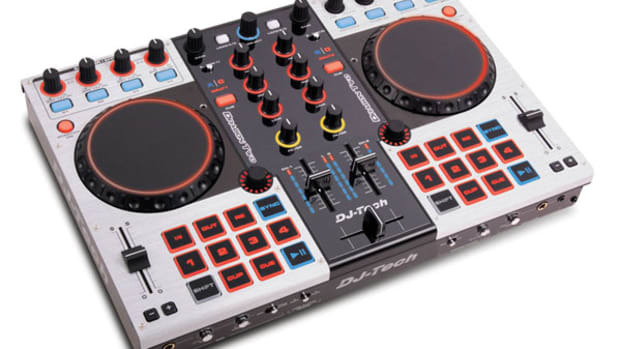 It is a solid machine that we can recommend for scratch DJ’s, Mobile DJ’s, and professionals as well as for beginners and computer DJ’s who want to play the files on their computer without using decks. 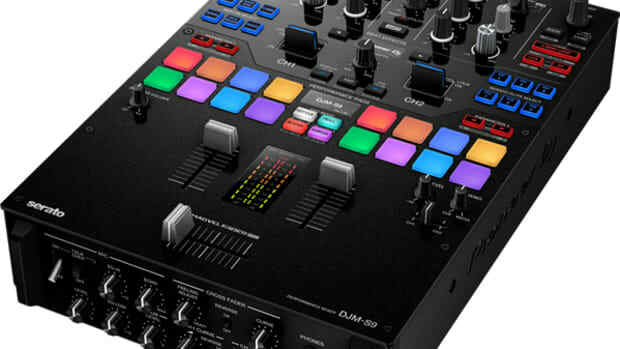 The DJM-303 comes with everything you need to DJ the music located on the computer including the two USB cables (one per channel) and two popular DJ Software suites to choose from. The DJM-303 is a great all around mixing console with high-quality components and lots of extras and options to suit many different DJ needs.